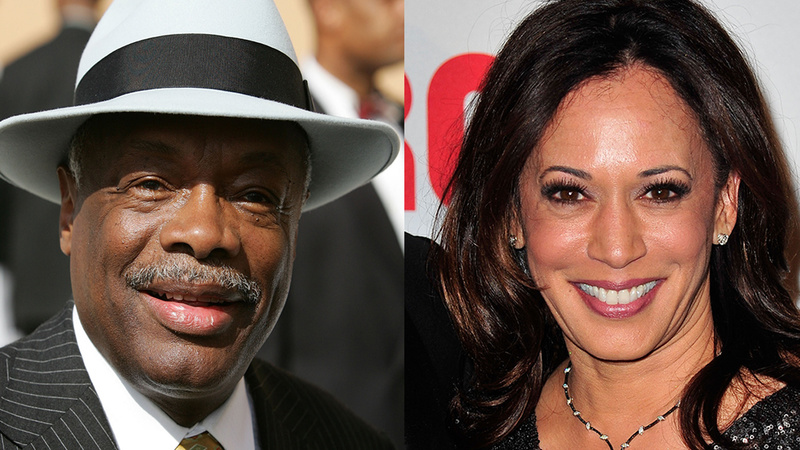 Willie Brown, former mayor of San Francisco, admitted to having a previous relationship with California Democratic Sen. Kamala Harris on Saturday in his weekly column for the San Francisco Chronicle. He also wrote that he also used his political clout to boost her career while they were dating. Brown wrote, "Sure, I dated Kamala Harris. So what?" He openly had an extramarital relationship with Harris while he was speaker of the California State Assembly and running for mayor, The Washington Free Beacon reported. At the time, Harris was working at the Alameda County district attorney's office. Previously, Harris dodged questions about how he helped Brown with her political career. "Yes, we dated," Brown wrote. "It was more than 20 years ago. Yes, I may have influenced her career by appointing her to two state commissions when I was Assembly speaker. "And I certainly helped with her first race for district attorney in San Francisco," he added. Brown appointed Harris to the Unemployment Insurance Appeals Board and the California Medical Assistance Commission. The two positions reportedly earned her more than $400,000 over five years. They reportedly ended their relationship in December 1995 just before he became mayor. But Brown has remained a political supporter of Harris. He is credited with getting Harris donors for her successful 2004 campaign for San Francisco district attorney. The backing allowed Harris to outraise her incumbent opponent. Brown goes on to write that he also "helped the careers of House Speaker Nancy Pelosi, Gov. Gavin Newsom, and Sen. Dianne Feinstein," even though he never knew any of them on a personal level. What about her presidential run? Regarding Harris' announcement that she plans to launch a campaign for the 2020 presidential race, Brown wrote that he is concerned about whether Harris can translate the "buzz" about her into voter turnout. "California Sen. Kamala Harris is riding a buzz wave the likes of which we haven't seen in years," Brown wrote. "The question is whether she can turn the buzz into a solid political operation." He suggested Harris' first big test will be whether she can pack Oakland's Frank Ogawa Plaza at her kickoff rally on Sunday, just as Barack Obama did during his first presidential campaign in 2007. "That feat took months of old-fashioned organizing by Obama's operation. It will be interesting to see if Harris can match it using social media," Brown wrote.